Minerva Canada is a Global Partner of the R.W. Campbell Award, which is overseen by the National Safety Council and underwritten by Exxon Mobil. It recognizes organizations around the world for their excellence in Safety, Health and Environmental management in two categories based on organizational size. Case studies are then prepared on the winning companies. Minerva Canada reviews four submissions each year from companies applying for the award. Companies wishing to apply can visit www.campbellaward.org. Minerva Canada can also assist Canadian companies in preparing for their award application. There is valuable health and safety information provided from the winning submissions of the R.W. Campbell award. Visit www.thecampbellinstitute.org/campbell-award/the-winners for more information. Case studies and incident investigations are very useful for teaching students about the practical aspects of design, the errors that people have made, the failures of management systems and their causes, the impact of worse case scenarios and recommendations to prevent incidents from reoccurring. Listed below are links to various agencies with case studies and incident reports. In the US, major chemical incidents are investigated by the Chemical Safety Board. There is a series of reports and videos relating to these incidents. In the U.K., the incident investigations and reporting is done by COMAH (Control of Major Accident Hazards). A series of investigation reports are presented here. The European Chemical Industry Council collects information on incidents. 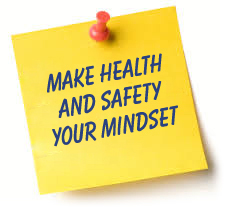 The UK Health & Safety Executive also has case studies or “summarized short stories” about how companies improved their practices or management systems so as to improve their safety performance at their facilities. Some of these improvements may have started as a result of a significant incident, as an example. The Japanese Hatamura Institute for the Advancement of Technology has very useful “Case Details” on a wide number of incidents in various industries.